Volunteers are vital to Thames Reach in our efforts to end street homelessness and support vulnerable and socially excluded people across London. As well as helping individuals to take steps forward in their lives, volunteering also offers opportunities to learn, meet new people and experience something different. Benefacto is a social enterprise helping to get people who work in a professional capacity to volunteer in their local communities. Since last June, they’ve been arranging for professional and corporate volunteers to dedicate some of their time to helping Thames Reach clients at iReach, a weekly digital skills workshop at our Employment Academy in Camberwell. iReach gives people with little or no computer skills the opportunity to learn at their own pace. 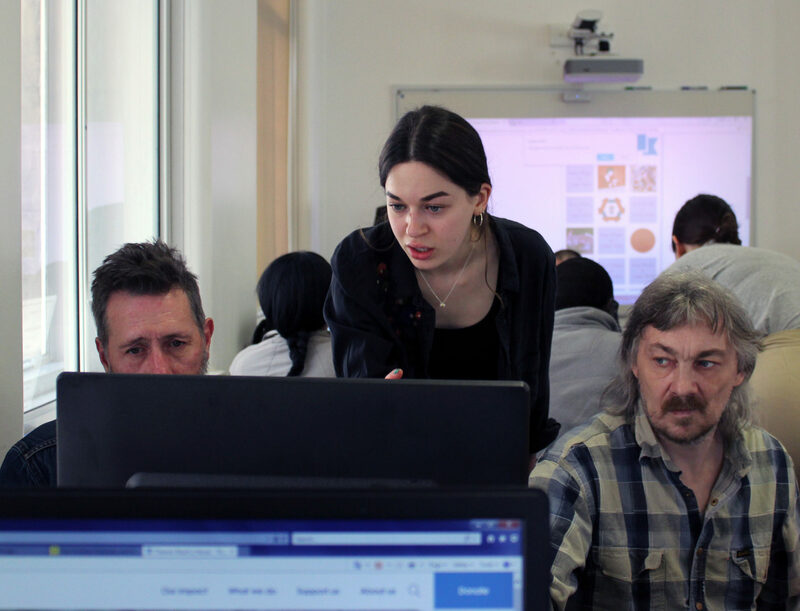 Funded by the Worshipful Company of Information Technologists, the workshop teaches practical digital skills, so clients can access services and benefits online, and can also help to reduce social isolation. Benefacto volunteer Molly spent an afternoon volunteering at an iReach session earlier this month. “You take it for granted but lots of people can’t use a computer,” she said. “It’s so important for applying for jobs and staying in contact with friends and family. “You can see people’s progress throughout the session. As a volunteer you want to get to a stage where you’re almost in the way. There was a lot of people at the session, everyone was enjoying it, it was amazing to see,” she added. Stevie Back, volunteer coordinator at Benefacto, said: “Doing this gives volunteers a chance to touch down with perhaps an unfamiliar reality and realise the importance of digital inclusion. 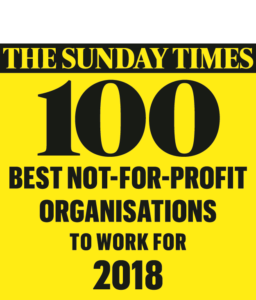 “We’ve spent a long time seeking out the right charities for our volunteers. People working in a professional or corporate environment will tend to have digital skills they can impart through sessions like iReach, which is a fantastic project. “We’ve really enjoyed working with Thames Reach and will continue to do so. We’ve had 23 volunteers helping out with iReach. They share their expertise and make contact with people in their communities they might otherwise never have met,” she said. Thames Reach digital support worker Chris Hamm, who runs the iReach sessions, said: “When our service users first arrive, some are apprehensive about using the equipment. Some have almost no previous experience of using computers. “After a while, though, you can see how self-confident our learners become. The transformation is lovely to watch and the knowhow that our volunteers share with them plays a big part in that,” he said.